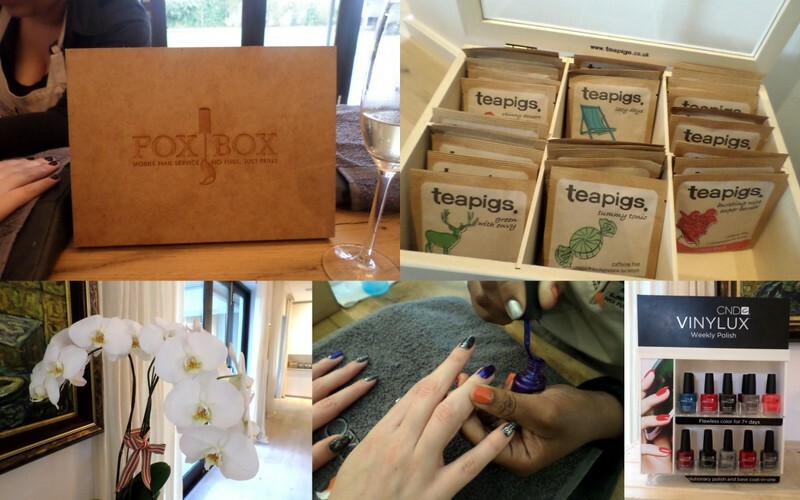 Held at a private home in Constantia, guests got treated to bubbly, Teapigs tea and an array of wickedly sweet treats. Seriously – how gorgeous are those biccies? But to get back to the service – a home visit isn’t nearly as expensive as you’d imagine it to be. For example, a magical mani is R350 and involves a soak, exfoliation, hand mask, buff, deep tissue massage, cuticle work and a shape and shine of your nails before a few slicks of either Essie or Morgan Taylor nail polish. Alternatively, you can add a gelish application for an extra R150. Yes, it’s pricier than some salons, but the fact that they come to you and work up until 9pm kind of justifies the price – especially if you’re in a pinch and all the nail bars are closed. There are less expensive services too – a simple file and paint is R180 and an express mani and pedi in which the nails are simply filed, shaped and painted is R400. I’ve forgotten who’s mani I photographed. Apologies! 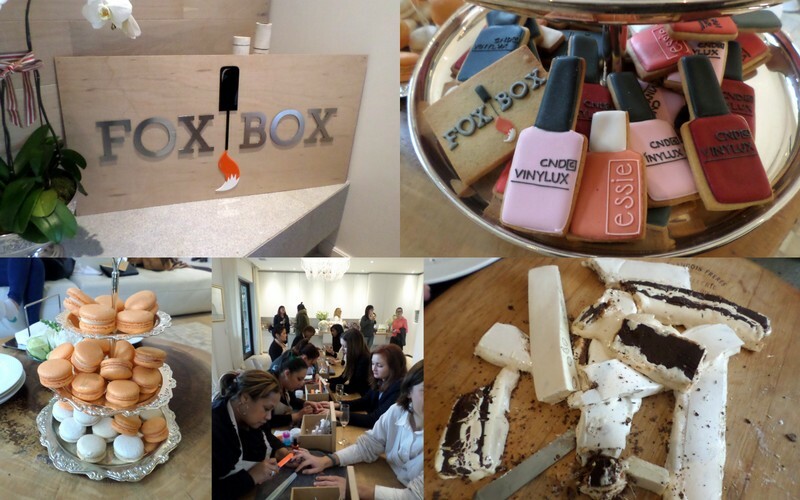 To learn more about The Fox Box, visit their website or find them on Facebook. Also, company co-founder Tove De Chazal, says to keep an eye out for The Fox Box app launching soon. One of the many functions it’ll serve up is phone call-free booking* so you’ll never have to scream your deets over the hustle and bustle of a busy salon to get an appointment. *Girls, you have no idea how much I love any business that phone-free bookings. Half the time, Debonaires is the only pizza delivery service I use only due to the fact that I can order up via their website and not have to spend five minutes shriek-spelling my utterly impossible to dictate name and addie to people. Anyone else feel the same way? This sounds like an amazing service! 🙂 Nothing worse than having to get up and go for weekend beauty appointments. I know! Sitting with a blinding hangover in a bustling nail salon is the last thing I want to do with my Saturday morning.